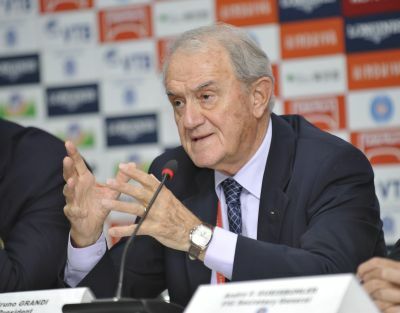 The FIG President Bruno Grandi (ITA) proposed to integrate the World Cup series into the Olympic qualification system. This initiative was subjected to numerous discussions. The FIG executives, including the Competition Commission took part in this counsel. President of the Competition Commission is to implement time for rest in World Cup action following the World Championships. Such lulls will let gymnasts have a period around the holiday season to recuperate and work on gaining new skills for the coming season. Among other things, the IOC's Olympic Agenda 2020 aims to move the Games from a "sport-based" to an "event-based" programme, indicating that future contests at the Games would be defined less on which sport they represented, and more on the quality and popularity of the event. The Executive Committee will also be preparing proposals for the FIG Council, to be held in Melbourne (AUS) in May, which could include changes to the technical regulations and accreditation rules, as well as a review of rules surrounding the sanctioning of events. The Committee will also address several requested nationality changes. Competitions are soon? You may buy rhythmic gymnastics leotards in stock online.